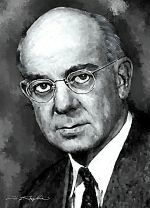 Edward C. Kendall. A Biographical Memoirs by Dwight Ingle, National Academy of Sciences. 44pages. Edward Calvin Kendall. How has he transformed the scene? Minnesota Science and Teaching. Prize motivation: ""for their discoveries relating to the hormones of the adrenal cortex, their structure and biological effects"